We’d love to take over the event venue cleaning process for you. When you’re hosting an event, you have a long to-do list that can feel a bit overwhelming. Whether it’s a corporate event or a personal event, it’s important to make sure that everything goes smoothly and the entire event goes off without a hitch. After the event wraps up, the last thing you want to worry about is cleaning up the space. At Fiv5 Star Cleaning, we offer event venue cleaning services to take this task off your plate. When you hire our team of professionals to take care of the cleaning, you can head home after the event and enjoy some much-deserved relaxation. Hiring professional cleaners for event venue cleaning comes with many benefits. First, we bring the supplies needed to clean every inch of the space so you’re not hauling around a vacuum cleaner or mop and bucket. We’ll also make sure the space in pristine condition before we finish so you can get any deposit back that you may have put down as part of the booking process. By letting our team at Fiv5 Star Cleaning handle the event venue cleaning process, you don’t have to worry. We also partner with event venues to provide our cleaning services, which can be offered as part of a package to corporate event planners, brides, and others involved in the process. This can give a venue an edge over other locations in the Charlotte, North Carolina area, since those booking their events won’t have to worry about cleaning up afterwards. We’d love to take over the event venue cleaning process for you. At Fiv5 Star Cleaning, we offer event venue cleaning services in Charlotte, Concord, Cornelius, Gastonia, and Mooresville, North Carolina, as well as Rock Hill, South Carolina. 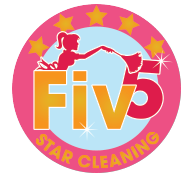 If you’re looking for a local company that provides comprehensive cleaning services in Charlotte, North Carolina, you have come to the right place at Fiv5 Star Cleaning! Call us today!